Product categories of AI Splice Tape Kraft Paper, we are specialized manufacturers from China, AI Splice Tape Kraft Paper, AI Three Hole Kraft Paper Splice Tape suppliers/factory, wholesale high-quality products of Kraft Paper Tape R & D and manufacturing, we have the perfect after-sales service and technical support. Look forward to your cooperation! AI Splice Tape Kraft Paper is made of high quality Kraft paper materials. Using Kraft Paper through prudent processes, KDW has produced high-quality splice products. AI Splice Kraft Paper is the used splice tape for Auto Insertion Machines. AI Splice Tape is designed for Axial Radial Components. KDW produces strong and reliable AI Splice Tape using Kraft Paper Materials. 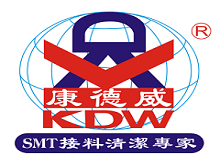 KDW's research continues to produce useful products that will help SMT and AI production process. Rims Description: AI Splice Tape with 3 or 5 holes for Automatic Insertion (AI) system.